Total Workwear provide an impressive range of shirts that are smart, comfortable, look professional and will enhance any business uniform. 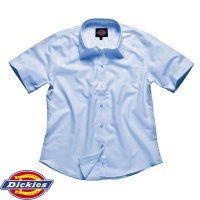 We offer shirts for men and women in a wide range of colours, styles and sizes. Both long sleeved and short sleeved shirts are available and they can be combined with a wide range of our other clothing options, for either individual or employee uniform requirements.